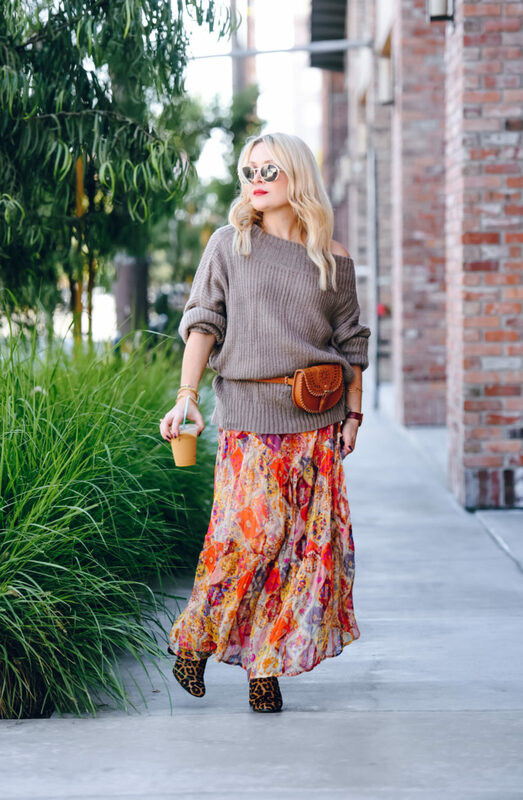 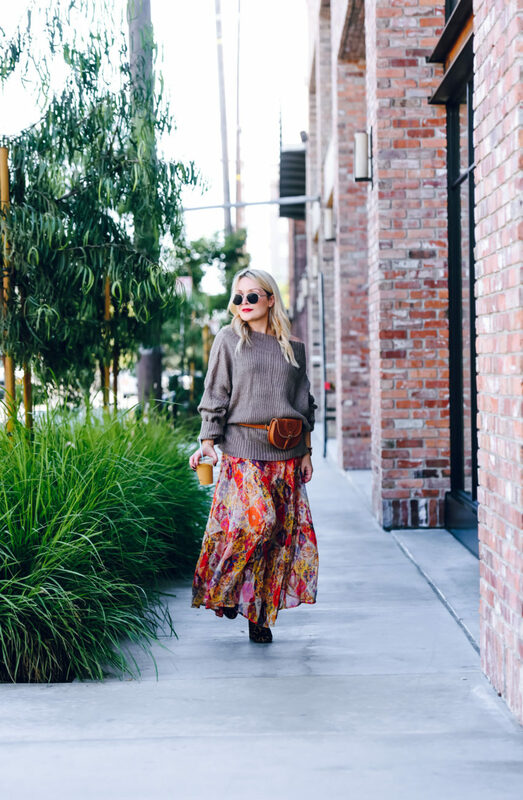 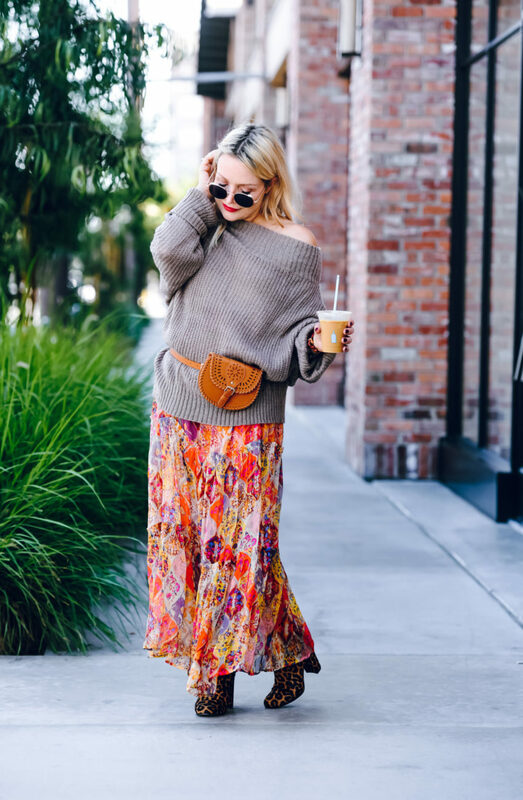 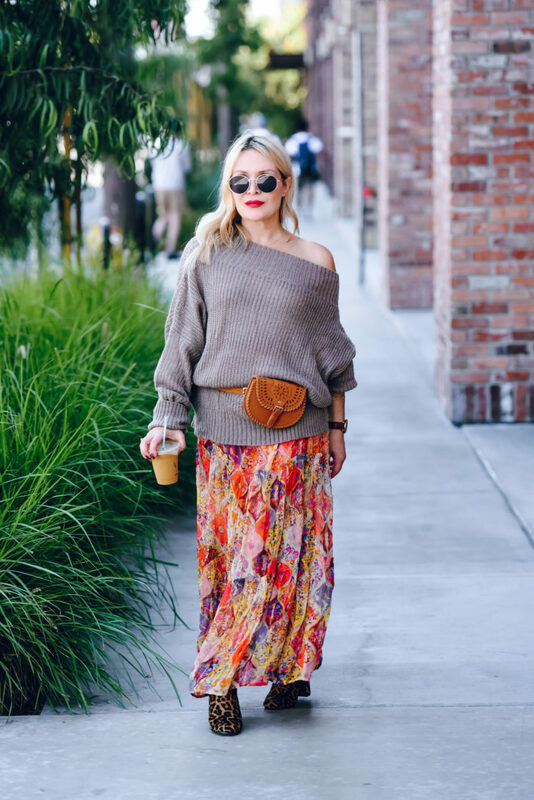 I am starting to feel the chill in the air (unfortunately as well as the smoke from all the fires burning near by) A floral maxi skirt topped with a cozy sweater is my latest go-to look for the weekend and I threw in some on-trend leopard print booties just to be extra. 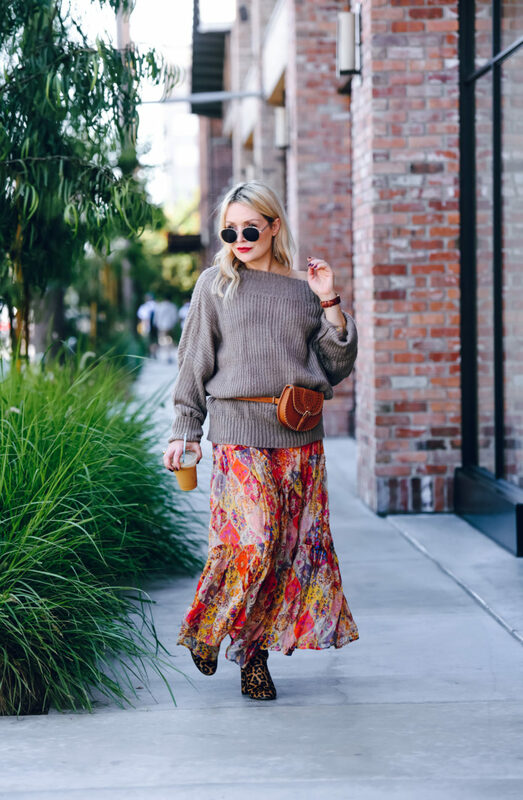 I think you’ll be seeing a lot of sweaters and skirts this season on the streets and of course on me, its an easy and very stylish look to pull off and far more interesting than a sweater and jeans right? 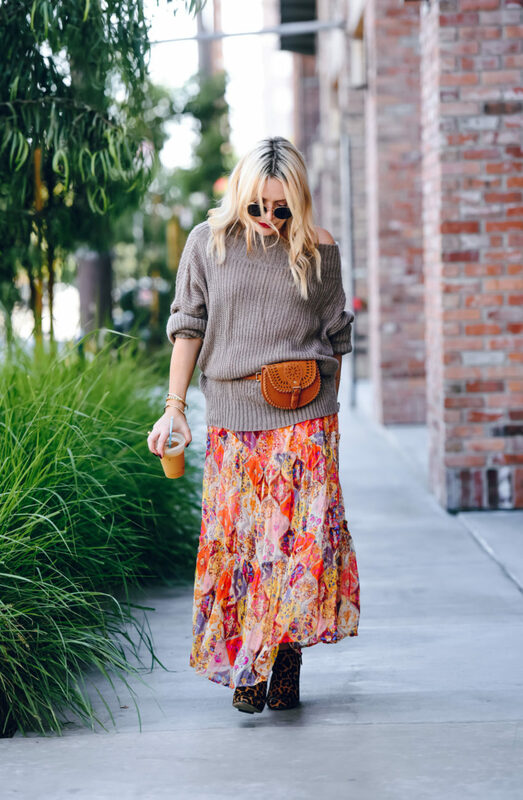 When Im strolling around with a coffee (hopefully Ill be switching to the hot stuff soon) I like to be hands free and this sweet little belt bag does the trick. 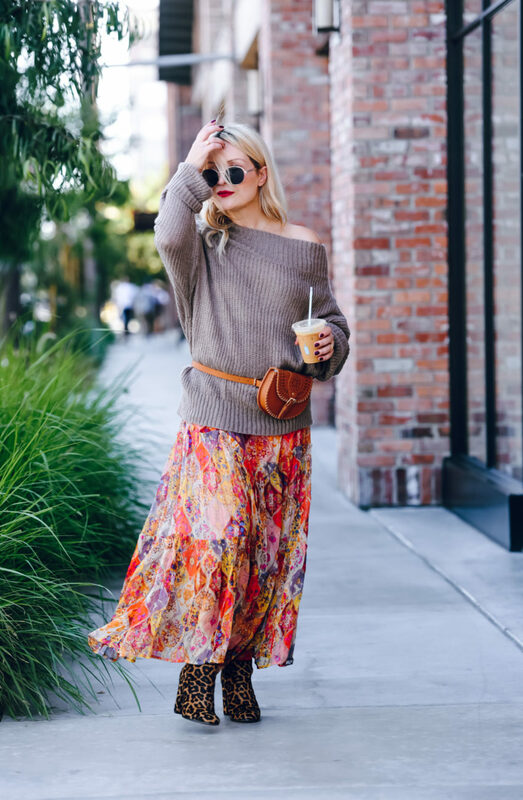 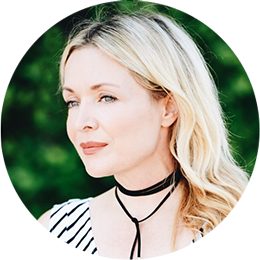 I bought this one at Nordstrom Rack a while back but I linked another really cute one that comes in multiple colors and it’s so well priced you might want to buy a few for yourself or as a holiday gift!